Chaparral is a truly fascinating plant. It is discussed in the appendix of my book. 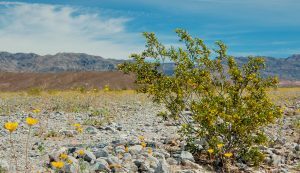 There are a hundred or more varieties of plants that are called chaparral. The primary one that is used medicinally is Larrea tridentata. It grows mainly in the deserts of Arizona, California, and Mexico. Larrea tridentata is an ancient herb that thrives in the arid deserts. 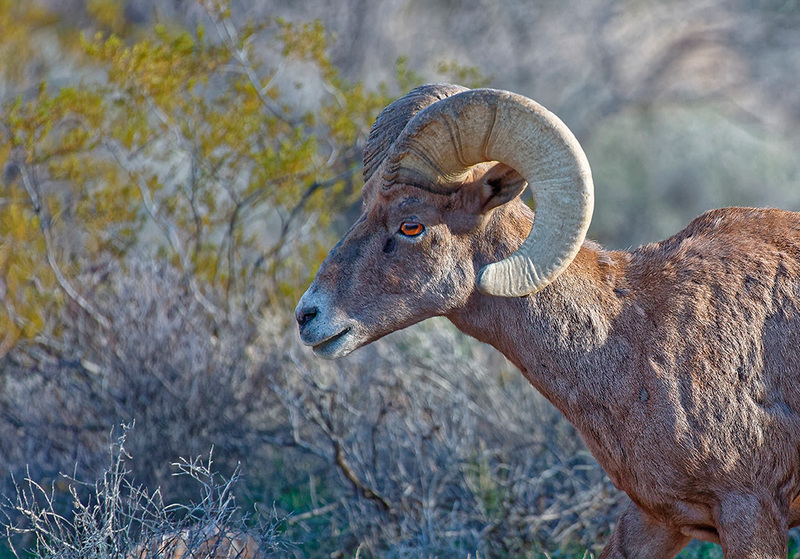 It can be readily found in the Mojave, Sonaran, and Chihuahuan deserts as well as Death Valley, but its territory includes parts of New Mexico and Texas as well. It has waxy green leaves all year long, more if it rains! The yellow flowers turn into small gray fruits that attract foraging animals. The plant can reach about 10 feet in height and it is said to live thousands of years. 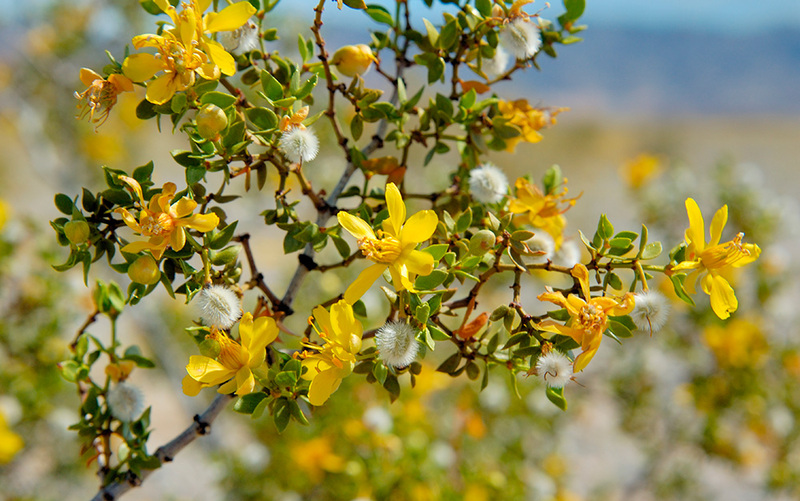 The nickname “creosote bush” stems from the distinct odor of the plant’s volatile oils. It is not the source of commercial creosote but the smell is reminiscent of creosote made from tar. The taste is more or less what one might expect given the scent. It is not pleasant tasting but it is therapeutic. Chaparral is probably best known as a source for the nordihydroguaiaretic acid (NDGA), a lignan found in the leaves and twigs. NDGA is an antioxidant that is used commercially to prevent rancidity. It is derived from guaiaretic acid, a substance also found in guaiacum that is used to treat sexually transmitted diseases, especially syphilis. Chaparral also contains flavonoids and triterpenes. The most famous chaparral account revolves around an 87-year old man who had had three operations for melanoma on his face before deciding to try another approach to his situation. He was completely cured by the use of chaparral in a tea form. It took several months, but he regained his vitality and recovered the weight he had lost. There is not much consensus as to what produces these remarkable results. Most researchers attribute the effects to nordihydroguaiaretic acid or NDGA. This is an antioxidant that is often added to oils to prevent rancidity, but it seems to have other benefits, including protecting tissue from damage when exposed to carcinogens. Studies show that NDGA may also inhibit cell proliferation as well as DNA synthesis. Chaparral may also be useful in combatting certain bacteria and viruses and has shown much promise with herpes. Dr. John Christopher felt that chaparral acted on the fermentation processes that nourish morbid conditions in the body. He also believed that chaparral stimulates the production of healthy cells in such a way as to drive out unhealthy ones. The late Dr. William Kelley, an orthodontist who contributed much to holistic cancer theories, felt that chaparral is a natural chelator that helps to remove toxins from the liver and pancreas. 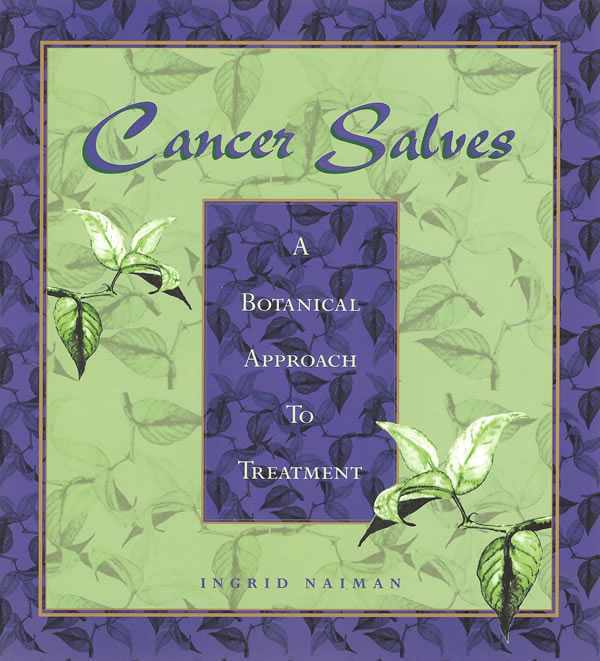 As with many plants, especially those with long histories of traditional use, there a number of theories, some of them quite esoteric, but the fact is that Native American medicine men and women as well as curanderos from Mexico have been safely using chaparral for centuries, this for a wide range of conditions from asthma to cancer, especially melanomas and leukemia, but I have seen it used very successfully for breast and ovarian cancer as well. In the Southwestern part of the United States as well as Mexico, chaparral enjoys a reputation for reliability in the face of everything from pain and fevers to gastrointestinal distress. 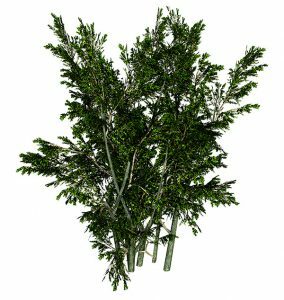 It is used on lacerations, even where there is profuse bleeding, on poisons of all types, and congestion of the lungs and sinuses. In short, it a “cure all” and several herbalists regard it as the most important herb to take when away from the clinic. .Chaparral can be harvested year round but the leaves are greener and more abundant after the plants have had some rain. The leaves and twigs are dried and then either chopped or pulverized. Traditionally, the dried plant materials were either left in water overnight or brewed and consumed as a tea. Some First Nation people smoked the plant. Today, chaparral is available as a tea as well as in tableted or encapsulated form or alcohol extract. It has a very long shelf life but, of course, there will be a gradual loss of volatile oils if the plant is stored a long time. Though most pundits err on the side of caution, this may be the place to state that many of the alleged issues with chaparral should be considered in the context of the histories of the persons reporting adverse effects, most of whom were already seriously ill.
Chaparral is a chelator so the organs of elimination need to be working efficiently if higher doses are consumed. In my decades of use of chaparral, I have never encountered anyone who could not tolerate sensible doses of the herb. This said, chaparral is not intended for long-term use. As a wound healer or hemostatic, the use is mainly topical and short-term. As a chelator, careful attention should be paid to the history of chemical and metallic exposures, use of pharmaceutical and recreational drugs, and substance abuse. In addition, the overall stability and stamina of the patient should be taken into account and careful attention should be placed on the ability of the patient to eliminate toxins. It goes without saying that those with higher levels of metallic exposures should pay extra attention to the ability of the kidneys to manage the effort to excrete the toxins. Changes in diet and careful planning and pacing of the detoxification effort will pay off in the long-run. ______. Tumours: Their Nature and Treatment, H. Turner & Co., London, 1869.